If you keep up with pop culture, you’ve definitely heard Sia. 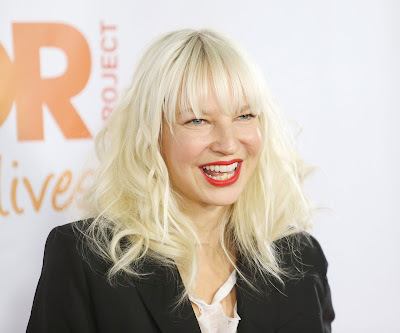 What you might not know, however, is that the Australian singer—whose full name is Sia Furler— is also a top-notch songwriter, having churned out hits for a staggering array of musicians. Pop music has no shortage of flaws-and-all anthems, but Sia didn’t settle for boilerplate preachiness about rejecting unfair beauty standards here. Instead, she wrote what sounds like a rousing personal confession of a lifetime of body-image struggles—even when it’s coming from a performer whose pursuit of perfection is so steadfast she’s practically annexed the word “flawless” into her brand. This one takes the crown without falling down. 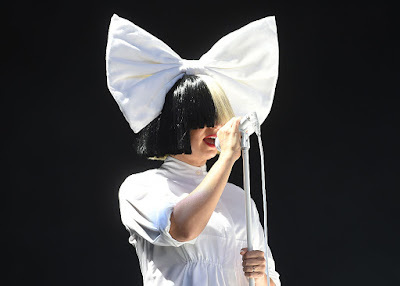 Sia told the New York Times that she wrote the dramatic “Diamonds” in 14 minutes, and was shocked that Rihanna chose to stick to her exact inflections when recording the hit. Listen to Sia sing it herself here. Loved Me Back to Life was Celine Dion's first English-language album in six years, and the lead single of the same name was a booming statement for the French-Canadian vocalist. By the time of the track's late-2013 release, Sia had taken some time off from releasing her own original music, working heavily with other artists and singing on dance tracks like David Guetta's "Titanium" and Flo Rida's "Wild Ones." As she went poppier, she brought the "My Heart Will Go On" belter with her, penning a hard-grooving track that featured Dion in a sleek new context. For Spears’ album Britney Jean, she collaborated with Sia, who co-wrote this pop power ballad, as well as “Passenger” and “Brightest Morning Star.” During the song’s development, Spears was so enthusiastic about the lyrics that she began sharing them with fans via Snapchat. Talk about a wonder from down under: the “Can’t Get You Out of My Head” diva (and fellow Australian) tapped Sia to executive produce her 2013 album, Kiss Me Once. Together, they cooked up a title track so euphoric it makes giving into sexual tension sound downright holy—no wonder there are church bells going off. Sia co-wrote the soundtrack for one of the the world's biggest sporting events when she helped create "We Are One" for the FIFA World Cup. Pitbull, Jennifer Lopez and Brazilian singer Claudie Leitte rapped and sang, respectively, on the uplifting, catchy and fun Latin-house single that became an international hit.